Earn up to 340 loyalty points. Buying in bulk doesn’t mean lower quality. 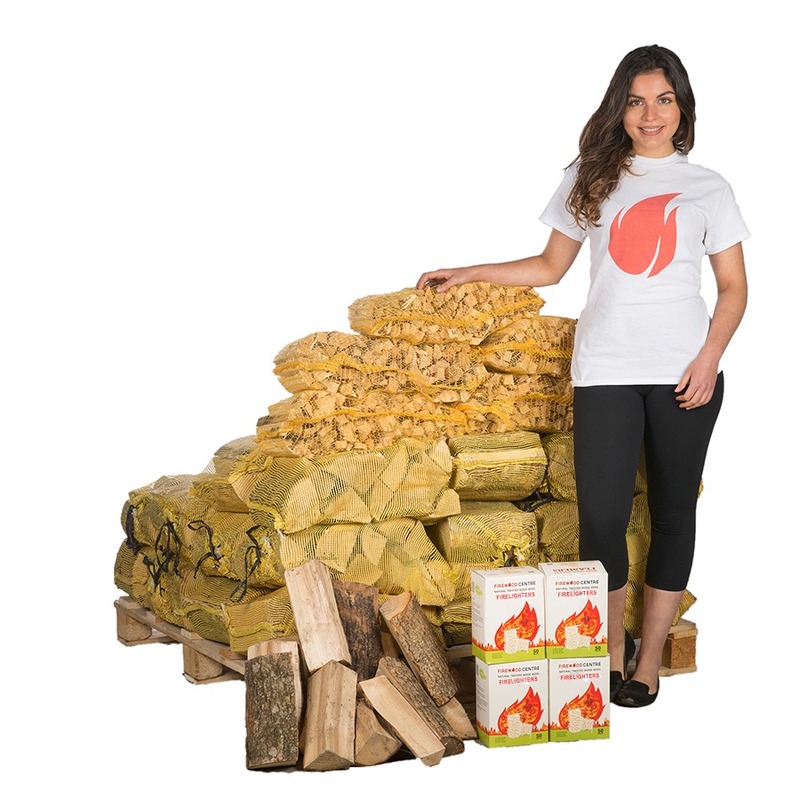 You get exactly the same high-quality products, just at an unbeatable price. 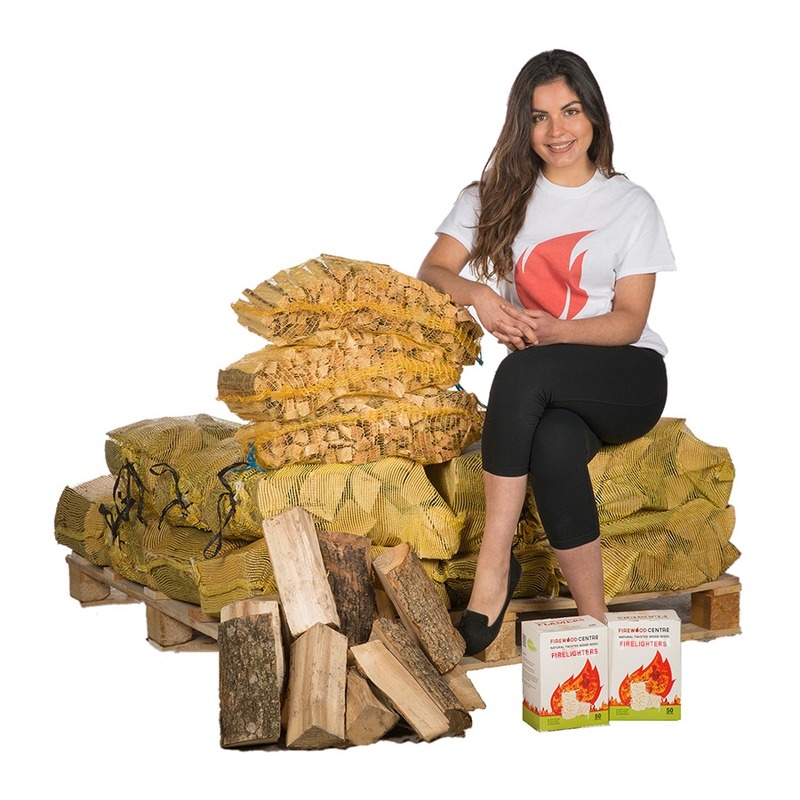 In this bundle you get 56 nets of kiln dried hardwood, ten bags of kindling and six boxes of our natural firelighters. 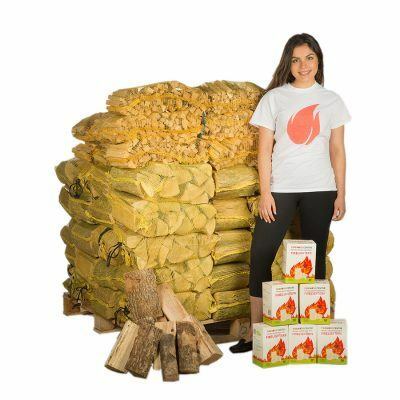 Choose between a mix of Alder and Birch or go for our Ash and Oak superior mix. With either option you get the highest quality kiln dried logs in sturdy netted bags delivered to your door. This really is a lot of wood so make sure that you have the space to store it safely, and your property is accessible for the large delivery vehicle.